This past weekend was both a busy and a successful one for TSS Rovers. Friday night saw the team head over the border to take on Seattle Sounders U23s at Starfire Stadium, earning their first ever road point with a stunning late comeback that saw Matteo Polisi score in the 89th and 94th minutes to secure a battling 2-2 draw. Less than 48 hours, and a long ferry ride, later the Rovers took to the pitch at Centennial Stadium on Sunday to face Victoria Highlanders in the first Juan De Fuca Plate meeting of the season, following up their first away point, with their first away win in an entertaining 3-2 victory. Games come thick and fast in the PDL. Squad rotation is a must. And TSS Rovers rang the changes for Sunday’s match up on the island, handing debuts to four players over the 90 minutes. Among them was Vancouver Whitecaps Residency alumni, centre back Brendan Skinner, who started and played 55 minutes in the win. This is Skinner’s first PDL season. There were other options on the table for the Western Michigan defender, but the lure of coming back to BC to play with the Rovers and be in a familiar environment over the summer was what swayed him, and he’s very excited to be here. “I was always planning on playing PDL, so it was a matter of if I was going to stay in Michigan or if I was going to come back here,” Skinner told AFTN. “Really, there were some family things I knew I needed to be back home with. A groin injury kept Skinner out of the TSS team for the first couple of matches, but it allowed him to watch a defensive transformation from the sidelines, as the team went from the horror show of a season opening 4-1 loss at home to Lane United to taking seven points from their next three matches and moving into second place in the standings. Now he’s fit and raring to get into the full swing of it. His debut on Sunday saw him partner Danylo Smychenko in the centre of the Rovers defence, and he’s looking forward to now building a solid partnership and chemistry with both the Ukrainian and UBC defender Connor Guilherme. “Coming back for me has been a matter of getting my fitness back and I had a little bit of a groin issue,” Skinner told us. “I would have liked to have been involved in it right away, but I’m just so excited to be a part of it. Guys like Connor, Danylo, you can just look from the first game to the second game, and I talked a lot with them and the coaches, it’s just a matter of time. “It’s such a new group and we’re coming together all at once. Against Lane United it was probably one of the most disorganised groups I’ve seen in a long time, but then you look at the second game against Portland and it was head and shoulders of a difference. They were keeping closer lines and I told the coaches during the game, they were literally learning as they went. It just shows it’s just a matter of time. 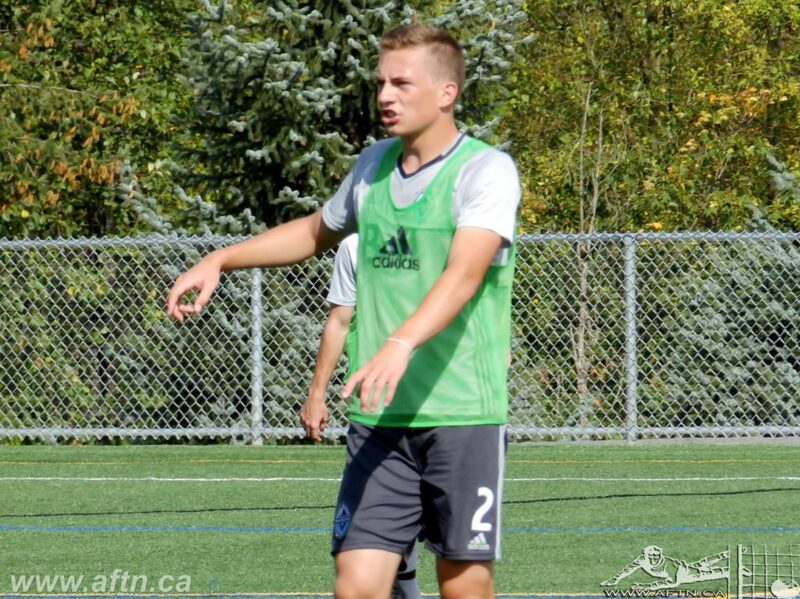 It’s been a testing first year in college for Skinner after graduating from the Whitecaps Residency program last summer. Skinner had committed to the Marquette University Golden Eagles in Milwaukee. His Freshman year in the NCAA Big East Conference saw him make 16 appearances, all of them starts, during his rookie season, scoring two goals and playing a team-leading 1508 minutes. But those weren’t happy times for Skinner in Milwaukee. Despite being a starter and contributing strongly to the team, the affable defender had issues with the coaches at Marquette. So much so that he transferred to Western Michigan in the Mid-American Conference in January. It may seem strange to transfer right in the middle of the school year, but it’s a decision that’s already reaped dividends for Skinner. “I spent the first semester at Marquette and it was honestly some of the hardest times of my life,” Skinner revealed. “But I had a really good resume. I played every single minute as a Freshman, then ended up transferring to Western Michigan and it was a great move for me. “With Marquette you do your whole college recruitment thing, you look at a whole bunch of different schools and whatever you feel like gives you the best offer and what feels like the best fit, you go with. Everything was great with that place and I just had a few personal issues with the coaches. And it already looks to be a great move for the 19-year-old. Western Michigan are coming off their best season in the program’s history last year, winning their first ever MAC regular season championship and making it to the NCAA Sweet 16. 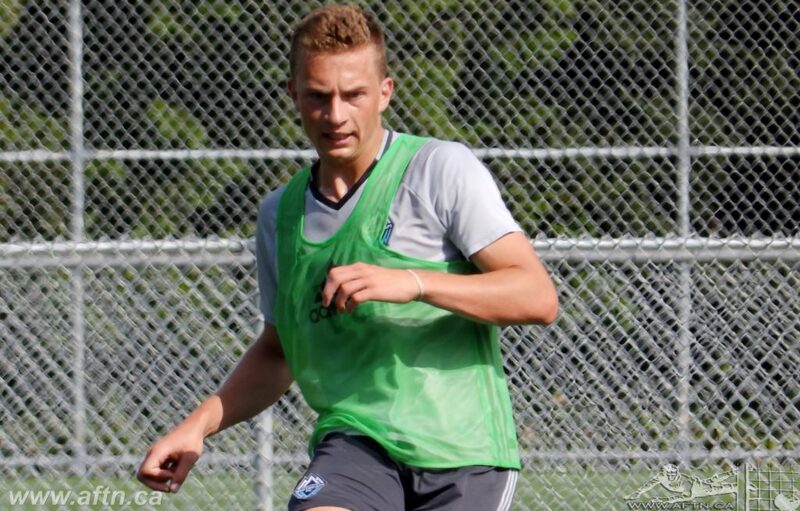 A number of players leaving the youth ranks to head to university, whether from the Whitecaps or elsewhere, find it a challenge on many levels. Some find it a big jump from the youth game to the college game. Some struggle with trying to balance their schoolwork with training and playing. Others find it tough being so far away from home. Having come through the ranks of a MLS academy team, Skinner hasn’t found the transition to be as big as you may expect, at least not on the pitch. “For me personally, it wasn’t a bigger jump,” Skinner feels. “But it’s just a different game, a different lifestyle. You have to learn how to be more mature as a person because if only just focus on soccer, you’re not going to do well in school, then you’ll lose your opportunities with your scholarship and whatnot. There certainly no doubting the toll such over exertion can place on a young players mind and body. Pushing yourself to the limits too often, and taking on too much, can have a serious impact on both your mental and physical health, so when Skinner made the switch to Western Michigan, he realised that it was a time to re-evaluate how he was approaching everything. He took a step back, made some changes, and the results have been extremely positive. “When I went to Western, when I made the transfer, I told myself, okay, I’m going to settle, I’m going to have a more balanced lifestyle,” Skinner revealed. “That’s when I started playing my game because I was really comfortable and now I’ve had one of the best spring seasons of my life. I was playing the best soccer of my life. Skinner is studying psychology at Western Michigan. The obvious juggling act with his soccer will always be tough. But it’s not too much different from what he had to do with school and the Whitecaps. “With the training, honestly, it’s not all that different,” Skinner told us. “We train every day. I think the only difference is you have a lot of games packed into a very, very short schedule. So you have to take care of your body really well. A lot of training during the fall season ends up just being game prep. Skinner spent four seasons in the Whitecaps Residency program, and some time in the Whitecaps Prospects program before that. Prior to that, his successful youth career saw him win league titles and cups with Guildford Athletic Club and Surrey United. That’s meant he’s crossed paths with a lot of his new Rovers teammates over the years, playing both with some and against some. It’s made for a quick integration into the group, and the chance to build on some existing chemistry. And with so many players in the squad with Residency connections, it feels in part as something of a Whitecaps reunion. “Everyone I told that I was coming to play for this team, I told them it’s like an inter-generational Whitecaps team,” Skinner told us. “It’s cool. It’s guys that I grew up watching, like Eric. When I was 12, and I only started playing soccer when I was 11, I used to watch You Tube and watch videos and that kind of stuff. Skinner graduated from the Residency program last summer, and both club and player have been keen to keep in touch over the past year to monitor his progress and get him in for some training stints. It’s an exciting time for Skinner and all the Canadian talent playing in the PDL this season. This time next year the Canadian Premier League will be up and running and there will be a need for over 100 professional players across the country. Previously scant opportunities will now be abounding. The players all know that they’re in the shop window right now, but Skinner’s not in any huge rush to join the professional ranks. The ultimate goal still remains what it has always been for him – to be a professional footballer. He’d love to be that as a Whitecap. But first and foremost, he wants to get his education under his belt, and for a player in his position, that would seem to be the most sensible route. “It’s something I’ve been thinking about for a while,” Skinner admits. “Especially now with the talk of the CPL and that kind of thing. For me, I plan on finishing four years of school. Just because, especially with my position, you look at the game now and you’re not seeing too may 18, 19-year-old centre backs playing pro. A lot of them are 22, 23, 24. “The draft route is just so popular with the MLS. You look at so many of the centre backs, almost all of them from America are drafts. I’m hoping that I do my four years, get my great education, and then my goal is to come back here [to Vancouver]. I would love to come back and play for the Whitecaps. Get To Know Your TSS Rovers: Brendan Skinner.